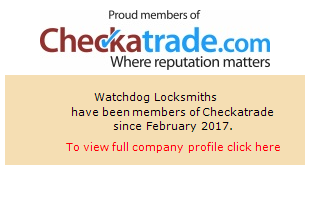 Watchdog has a great reputation and we aim to keep that reputation by repeating quality work at great prices using quality products. We want your experience with us to be a pleasant one and we know it can be a stressful time when your locks don’t work or you have lost your keys that is why we pick locksmiths that not only have a great work ethic but are polite and care about our customers as much as we do. You won’t get stung by call out charges with Watchdog making us one of the most affordable lock smiths in London. Unlike other locksmiths, we not only provide door lock installation & repair services but also offer the same services for windows, safes garage, etc. Our expert engineers can deal with all types of locks and key related problems. As mentioned earlier it is important for us to keep our customers happy. 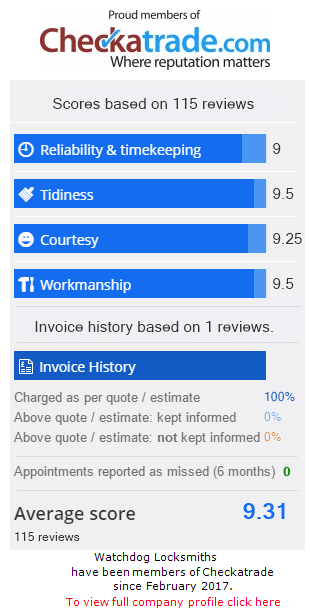 We know how important referrals are and the way you get that is by being fairly priced , doing great work and finally offering great customer care / aftercare. We are just a call away, call us on 0800 389 9965 anytime, any-day.